Formulated to Use with FaceDoctor Soap for Faster and Greater Results! There are two types of Human Demodex parasites documented to exist in human's skin: folliculorum and brevis. These parasites are the cause of redness, enlarged pores, acne, skin blotches and premature aging of the skin; they take only 10 to 14 days to grow from egg to fully grown adult and will continue to multiply at an extremely rapid rate if not treated properly. Morning: Leave FaceSurgeon II lather on the face for 1 minutes; then rinse off. 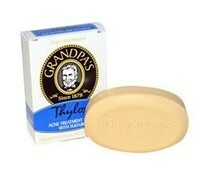 Use immediately afterwards the FaceDoctor Soap as directed. Use only as directed. Excessive use or prolonged exposure may cause irritation to skin. Discontinue use if rash, redness or itching occurs. Consult your physician if irritation persists. Keep out of reach of children.